They say you should never live with regrets. That may be so, but there are certain events that I do regret that I didn’t act differently. I will share one moment that still haunts me. Years ago I attended a Pentecostal church (this post is not meant to be a criticism of Pentecostals). I was a part of a young adults group that included a Sunday school class before the service. One of the people in the group had an acquired brain injury that left him largely paralyzed and confined to a wheelchair. At the time, we had been having a healing evangelist preach in our church, claiming that healing was available to all who would just ask. All you needed was to pray and it was done. But this young man in the wheelchair was a reminder that something was off somewhere. The leader of our young adult class prayed for the young man’s healing and then told him that all he needed to do is respond in obedience and receive his healing. It sure looked like he was still paralyzed. Our leader was convinced that the young man was just buying into the lie that he was not healed. We just needed to help him see that the healing had already taken place. So our leader took one side of him and had me grab the other side and we tried to force him to walk up and down the halls of the church. Not just for a few minutes, but for perhaps twenty minutes, we forced this young man to try and walk, all the while trying to convince him that he was already healed. I knew that what we were doing was wrong. But I was a coward and did not speak up. What was taking place was both bad theology and bad pastoral care. I’m embarrassed that I was ever involved in that event. I’m not saying that is always wrong to pray for someone to be healed from a disability. But there is an appropriate and healthy way to do it. What we did was not that. I can’t change the past but I can work toward advocating for people with disabilities and making churches safe places for all for every ability. ← What Blogging Platform Should You Use? This is a perfect example of why I don’t believe in God. It’s not beyond God’s power to heal autism or brain injuries. But even Christians, I think, know that God just doesn’t do that. They come up with excuses for why that he might decline to do such obviously miraculous kinds of healings. But deep down, I think, they know it just doesn’t happen. They won’t admit to themselves the obvious reason it doesn’t happen. 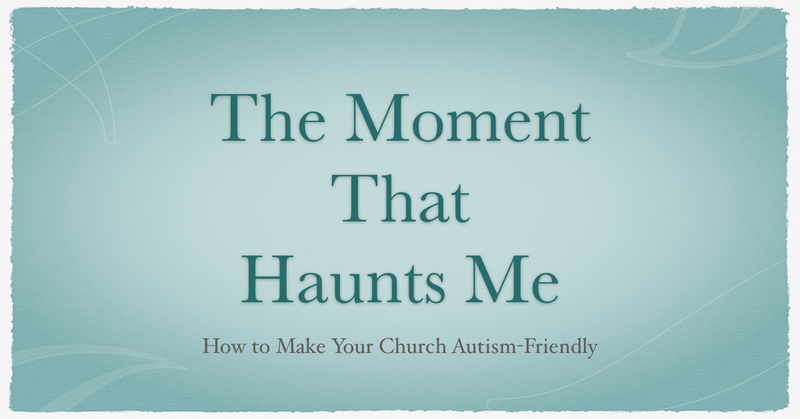 It’s not because God has some hidden purpose for autistic children. It’s because God *isn’t there*. Thanks for your comment. However, as a dad of two kids with autism, I have a different perspective. We have seen some amazing things happening with our kids, including very specific answers to prayer. The problem with the experience I shared is that there was an assumption that God has written a blank cheque when it comes to healing, something that is not biblical. Hey Steve, really appreciate your vulnerability in sharing this story. That takes courage. I also have a child with autism. 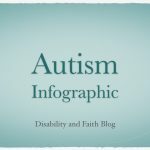 In the year or two after his diagnosis a few people essentially implied that, if we searched hard enough, we would find something to cure him… or, at least greatly diminish the severity of his autism. I fell into the same line of thinking, believing that if we worked hard enough with his in-home therapy program, Matthew would be (basically) fine. So, although the details are quite different than the story you share, they’re similar in that they try to make our role decisive for healing. If only it were that easy, right? I’m sympathetic with Ben’s comment because it’s so hard to understand why God has allowed so much suffering, especially when it’s personal. It can seem like he’s absent. But, like you, we’ve seen too many answers to prayer to ignore his presence. 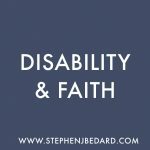 Thanks again for your post, and work to help churches welcome those with disabilities. Thanks Bryan. We had similar things said to us with our own children. We had a few close friends get frustrated with us because they believed all we had to do was ask and they would be healed. It was that simple. Others were convinced that a certain diet or therapy would be the key. The truth is that there are no easy answers. But I will say that our children’s autism has strengthened my faith and not weakened it. Blessings on you and your family.